How to minimize chargebacks and maintain conversion rate? 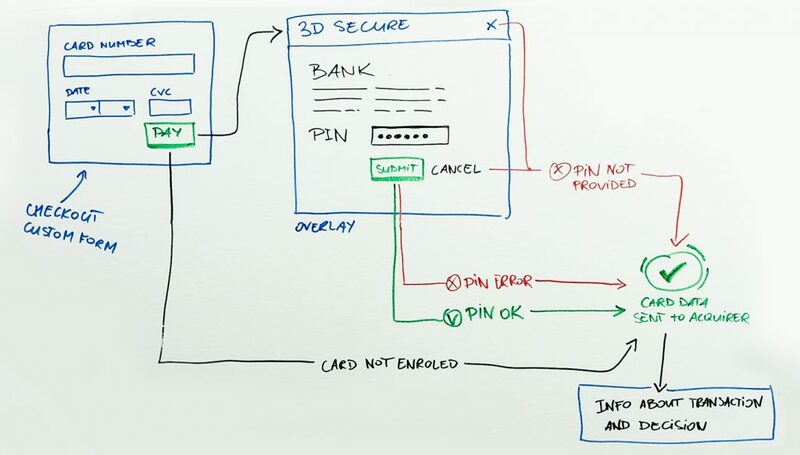 In this video, we’re describing Non-invasive setup for 3D Secure, which can be applied to Checkout and Custom Form. At SecurionPay, we believe in improving your business. We want to increase your sales, increase your conversion rates and lower your chargeback ratio. That’s why today we’re gonna be talking about 3D Secure and our Non-Invasive 3D Secure solution. So, most merchants these days don’t use 3D Secure, and I understand them. 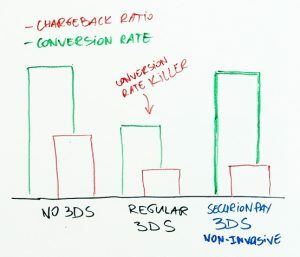 While your conversion rates are high, not using 3D Secure increases your chargeback ratio and chargeback ratios are bad. Well, first of all, we’re living in a world full of fraud. Second of all, each chargeback comes with a cost, at least twenty-five dollars. What’s more, you obviously lose income — the higher your chargeback ratios, the higher the penalties are given by Visa and MasterCard. So, merchants decide: ‘We’ll go with the regular 3D Secure solution.’ Their chargeback ratios go down, but what do they discover: ‘It’s a conversion killer!”. Why is it a killer? 1. The customer forgot their PIN. 2. You have a great pop-up blocker and it blocked the 3D Secure page. 3. There’s poor bank integration or platform integration. Either way, the user does not go through the complete payment process. So we, at SecurionPay, came up with this great Non-Invasive 3D Secure solution. It gives you full control and you decide how strict you want it to be. And this is how it works — I’ll illustrate it for you. Of course, it’s all integrated with our Checkout or Custom Forms. The customers are on your website, they decided they want to pay for something, they put in all relevant information, and they click on ‘Pay’. Then our 3D Secure box overlays onto your existing website. They put in their PIN and, if everything goes great, the card data is sent to the acquirer. But, what if there’s a PIN error? What if the customer closes the box or something else? Well, the card data is sent to the acquirer. Even if the card is not enrolled in 3D Secure, the card data is still sent to the acquirer. This is where the power of information is critical. The merchant decides what they want to do if the PIN was OK. All of the liability shifts onto the customer, and they can’t come back to you with the chargeback, however, with the other variants you decide if you want to give them a refund or not. What’s more, to help you with that decision, SecurionPay has all the information for you. Our reports show whether 3D Secure went through or not, whether the transaction went through or not and, in addition, we give you a fraud score. It gives you the power of information, it maintains your conversion rates, it lowers your chargeback ratios, and it keeps you safe and secure. Please, feel free to leave us some comments and feedback, we’d love to hear about your 3D Secure stories. Events and webhooks: Everything you need to know Boost your sales by up to 30% through cross-sales feature What Game Of Thrones Taught Us About Online Payments?